Since starting Gutter Helmet Systems of Alabama in Birmingham in 2009, we have expanded our territory in 2011 to Northern Alabama, which includes Huntsville, Madison, Decatur, Cullman and the surrounding areas. Chad Hisey has 16 years’ experience estimating and installing Gutter Helmet, coupled with Owen Watkins 20 years in the building and renovation side of things, will provide homeowners with the confidence that the job will be done right. When gutters become clogged with leaves, sticks and other debris, mold, rotting wood, landscape erosion and foundation damage are just a few of the possible consequences. Gutter Helmet protects your home by keeping gutters clog free so rainwater is diverted as intended away from your home. In addition to providing Gutter Helmet to our customers, we also provide a wide range of products such as, but not limited to, 5” and 6” seamless gutters, downspouts, fascia and soffit replacement, and exterior painting. All of our installers are certified and trained specifically to the products they install. We brought the Gutter Helmet gutter protection product on in 2009. Since then we have been awarded Most Improved Dealer in 2009 and are the only gutter company that was featured in Ebsco Magazine starting in 2014 through 2016 and running with a 97% approval rating from all of our past customers. Contact us now and end gutter cleaning! 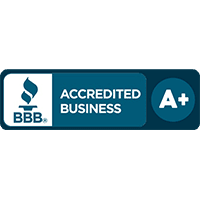 You may also check us out with the BBB with which we have an A+ rating. Our commitment is to treat your home as if it were our own and provide you with the excellent customer service you deserve. Give us a call today, estimates are always no charge to you. You may also use the online request form on this page and we will respond as soon as possible. Whether you are looking for Gutter Helmet gutter cover installation or any of our other services, you will find that our quality and outstanding customer service will exceed your expectations.